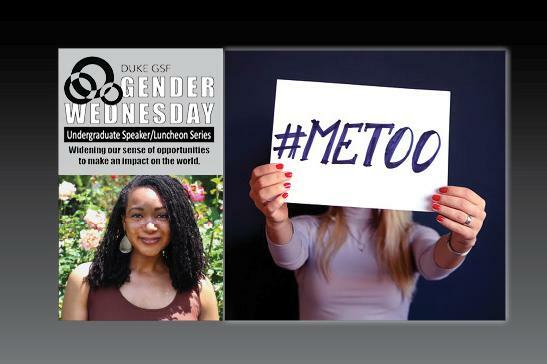 Gender Wednesday is an Undergraduate Speaker/Luncheon Series for Widening Our Sense of opportunities to make an impact on the world, presenting Krystal George. Krystal George joined the Duke Women's Center in April 2015, and is now serving as the Interim Director. In addition to overseeing the Women's Center as a whole, she is also responsible for providing expertise in the creation, development, assessment of services related to gender based violence for the Duke community. She oversees the implementation of environmental prevention, intervention, education and training efforts to engage undergraduate, graduate and professional students in the reduction and elimination of gender based violence on campus. PLEASE RSVP FOR THIS EVENT @ DukeGSF Facebook Events page.